☕️ Good Tuesday morning. Midterms are two weeks from today. L.A. readers: You're invited! Join Axios' Ina Fried, the Chan Zuckerberg Initiative's David Plouffe and local leaders at lunchtime Thursday in downtown L.A. for a conversation about California's housing crisis. RSVP here. This launches Cognizant's tracker. Axios will follow it each quarter to see how the creation of jobs of the future is pacing with the automation of traditional occupations. "This murder might have been committed at a consulate building which may be considered Saudi Arabian land, but it rests within the borders of Turkey," Erdogan said, adding that the Vienna Convention "cannot allow the investigation of this murder to be concealed behind the armor of immunity." Erdogan called it a "savage murder" and called for the suspects to be tried in Turkey, per AP. He asked: "Where is the body of Jamal Khashoggi?" 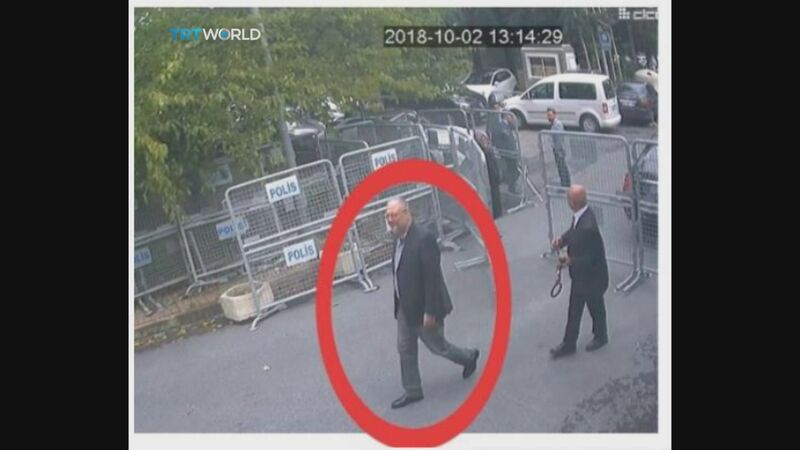 For the first time, Erdogan also confirmed that a body double of Khashoggi was used as a decoy after he was killed. Some repressive regimes and insurgent candidates are increasingly weaponizing social media technology to silence critics or exert control over vulnerable populations, Axios' Sara Fischer reports. Why it matters: Lack of oversight of social media makes it easy for those in power to influence populations without being detected — at least not until after damage is done. The latest: In Saudi Arabia, according to a new report from the N.Y. Times, Saudi-backed troll farms were inundating journalists, including Jamal Khashoggi, with hateful messages and threats of violence in an effort to silence them. In Brazil, businessmen allegedly linked to right-wing candidate Jair Bolsonaro have bankrolled a campaign to spam users with fake news via WhatsApp, per the WashPost. Russia and Iran are leveraging social media to undermine stability or elections in other nations. Facebook and Twitter have taken action in nearly all of these instances, some of which were first uncovered by third parties or reporters. But often groups make it hard to track their actions in real time. For instance, they'll spread social media bot attacks across hundreds of seemingly-unrelated accounts and platforms. 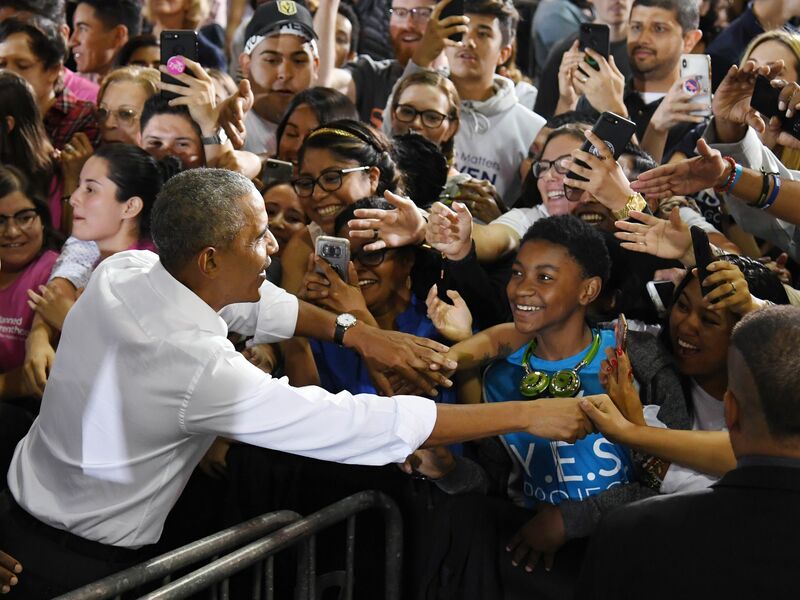 Former President Obama greets supporters yesterday after speaking at a get-out-the-vote rally in Las Vegas. In the "near brawl," "Kelly grabbed Mr. Lewandowski by the collar and tried to have him ejected from the West Wing." Why it matters: "The episode ... is the latest illustration of the often chaotic atmosphere Mr. Trump is willing to tolerate in the White House as well as a reflection of the degree to which Mr. Kelly’s temper can be provoked." How it went down: "Trump had both men in his office. ... Kelly criticized Mr. Lewandowski to Mr. Trump for making so much money off the president in the form of his contract with the super PAC supporting the president’s re-election. Mr. Kelly also expressed his anger that Mr. Lewandowski had been criticizing him on television." "As Mr. Kelly walked toward a hallway leading back to his office, he called to someone to remove Mr. Lewandowski from the building. The two then began arguing, with Mr. Lewandowski speaking loudly. Mr. Kelly grabbed Mr. Lewandowski by his collar, trying to push him against a wall." "Lewandowski did not get physical in response, according to multiple people familiar with the episode. But Secret Service agents were called in. Ultimately, the two men agreed to move on." President Trump declared himself a "nationalist" for the first time during his rally in Houston with Sen. Ted Cruz (now "Texas Ted") last night, CNN's Jeremy Diamond reports. What Trump said: "You know what a globalist is, right? [Boos.] ... A globalist is a person that wants the globe to do well — frankly, not caring about our country so much. And you know what? We can't have that. You know, they have a word — it sort of became old-fashioned. It's called a 'nationalist.' ... We're not supposed to use that word. You know what I am? I'm a nationalist. OK? I'm a nationalist." The crowd erupted in "USA! USA!" chants. Why it matters: "The comment marked the first time Trump has directly associated himself with the political ideology, which has long defined his outlook and the protectionist trade policies he has implemented in an effort to boost domestic manufacturing." "I haven’t seen people inside the Beltway as convinced and certain about an electoral outcome since the day before Hillary Clinton won the presidency." "The most futuristic is a blueprint for a steel elevator shaft inside the garage of a shabby house near the Hawthorne Municipal Airport that would connect with the test tunnel 40 feet below." "The structure would serve as a covert place for engineers to practice raising and lowering vehicles into the test tunnel, a key element of the transportation system known as 'Loop.'" The tunnel now runs a mile under Hawthorne streets, starting next to SpaceX headquarters. "Musk envisions a transportation network where commuters in cars, on foot or on bicycles can board platforms the size of parking spaces, dotted across the city." "The platforms, called 'skates,' would sink through elevator shafts, merge seamlessly into the tunnel network and whisk riders to their destinations at speeds of up to 130 mph." 9. 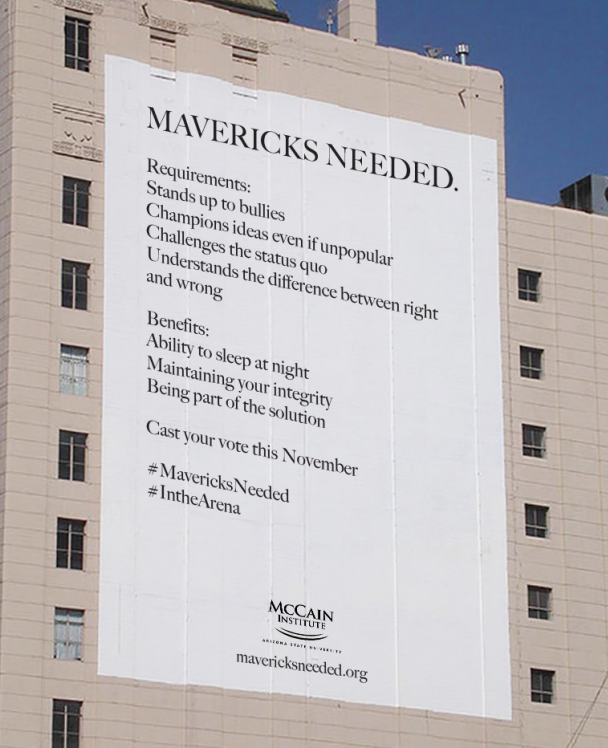 "A Call for Mavericks"
"Mark Salter, McCain’s longtime aide and writing partner, said the idea for the ad campaign was born this spring, while the senator was still alive. The project’s goal, he said, is to encourage Americans to get engaged with politics, petition their government and make human rights a priority." "The ad was directed by Jesse Dylan, musician Bob Dylan’s son, who directed will.i.am’s viral ''Yes We Can' video in support of Barack Obama in 2008." 10. 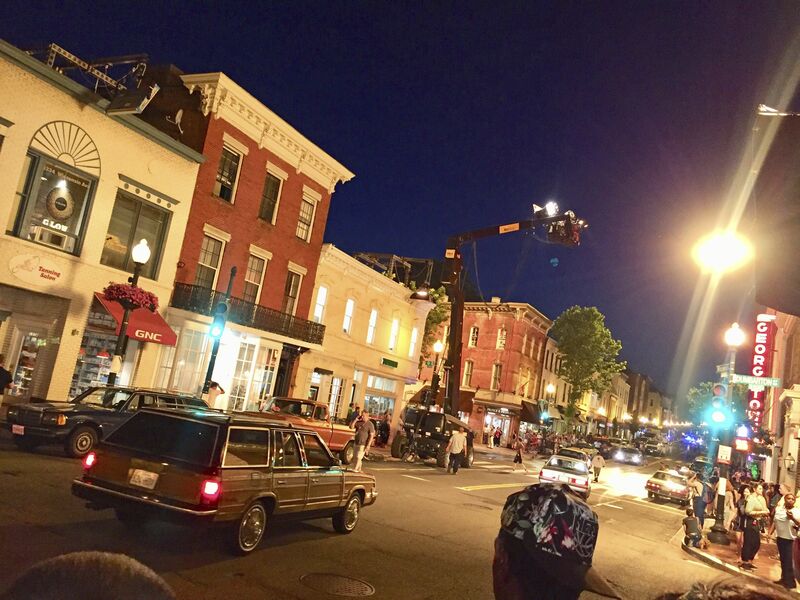 1 🎞 thing: Why D.C. stories rarely film in D.C.
"One of the most famous is the 1987 film 'No Way Out,' where Kevin Costner escapes pursuers by taking a subway from Georgetown," where there's no Metro. "The opening credits of the new Amazon show 'Jack Ryan' show the title character biking to work via a route that makes no geographic sense." Why it happens: "Filmmakers say Washington can be a difficult place for them —the entire district is a no-fly zone for helicopters and drones. Those seeking film permits must sometimes contend with several overlapping police forces: ... Metropolitan Police, National Parks Service police, the United States Capitol Police and the Secret Service. ... Other cities offer more generous tax incentives." "So Washington-centric series like 'House of Cards' or 'Veep' typically come to the District just to shoot what locals call the 'postcard shots' of the monuments or the White House, then do their principal filming elsewhere." "'The Americans' was ... filmed in Brooklyn; 'NCIS' has been set in Washington for 16 seasons, but fakes the District in southern California. 'The Post' was filmed in Brooklyn and 'Lincoln' was filmed in Richmond, Virginia — the capital of the Confederacy." D.C. officials scored a success last summer with the filming of the Wonder Woman sequel in Washington. "And they have a high-profile ally in author George Pelecanos, who has set all 20 of his crime novels in the Washington area and is on a personal mission to turn the nation's capital into a film hub."